When a chance remark at a high-society dinner reveals a web of dark secrets, the consequences are devastating for the guests. But what if the remark had never been made? 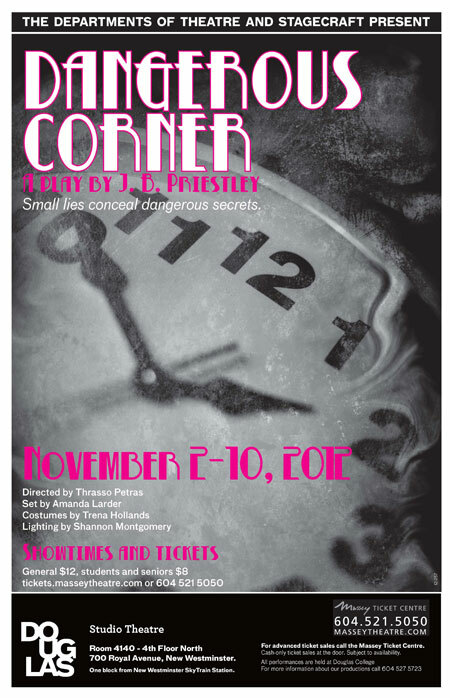 J.B. Priestley's Dangerous Corner, the latest production by the Douglas College Theatre and Stagecraft & Event Technology departments (Nov. 2-10), follows a group of wealthy connected friends who come together for a party in the early 1930s. A single remark by the hostess leads to tragedy after it sparks a revelation of painful secrets around a suicide, embezzlement and betrayal - in which all the guests are involved. But near the end of the play, time moves back to the beginning of the evening. The remark is not made, and the "dangerous corner" is avoided. Thrasso Petras, director, says it's this small alteration that makes Dangerous Corner - a play of intrigue and suspense - more than just a parlour-room drama or murder mystery. "It's not just a scandalous little piece of theatre," he says. "It makes us think. We talk to people all the time, and who knows what we're not getting from them? When we talk to someone at the right time in the right place and in the right mood, we can have a completely different conversation. They might suddenly reveal something to us." Petras says he decided to set the play in its original time period because the things the characters reveal - matters of sexuality, for instance - would not be shocking in modern society. "Others have tried to make it contemporary, but it doesn't really work. There is something about the 1930s, where people tried to hide things about themselves much more consciously. There were very specific consequences surrounding how people chose to live their lives." Dangerous Corner runs Nov. 2-10 at the Studio Theatre, Douglas College, 4100-700 Royal Ave., New Westminster. Tickets ($8-$12) are available through the Massey Theatre, 604 521 5050. Love animals? Thinking you might like a career working with them? Then read on: Kate Burkmar, a recent grad of the Animal Health Technology (AHT) program at Douglas, talks about her education, her new dream job and her initial qualms about working with critters. 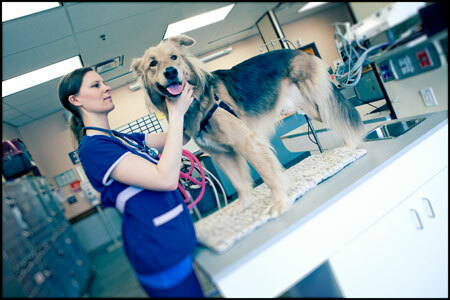 Registered Animal Health Technologist at Mosquito Creek Veterinary Hospital, which uses an integrated approach combining western medicine with Traditional Chinese Medicine to treat patients. 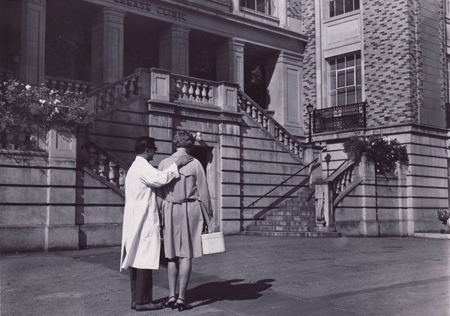 A psychiatrist escorts a patient to Riverview's Crease Clinic in a staged photo taken in the 1950s by the hospital's photography and film department. If most of your knowledge about asylums comes from movies like Shutter Island and The Ward, come get the real story with Consciousness, a short film premiering at Douglas College next month. Produced by Douglas Criminology instructor Heidi Currie and Anna Tremere of the Riverview Hospital Historical Society, and directed by local filmmaker lisa g, Consciousness tells the story of Dr. Ralph Arrowsmith, a mid-20th century psychiatrist with a life-long connection to Coquitlam’s Riverview Hospital, a mental institution that opened in 1913 and closed last summer. Heidi says that while popular impressions about asylums are overblown, asylums could be, in fact, terrifying places. Dr. Arrowsmith, who was passionate about the psychiatric movement and deeply committed to his patients, recounts his years of practice with frank discussions of the treatment and perception of the mentally ill at the iconic mental hospital, from the peak of the institutional movement through deinstitutionalization. Featuring archival film and photography combined with re-creation footage, Consciousness is part three of the Riverview Hospital Story Project. Watch the first part, Asylum, and the second part, Bedlam, on Vimeo. The film runs 25 minutes. A Q+A and refreshments will follow. Heidi is hosting the event, with lisa g, Anna Tremere and Dr. Ralph Arrowsmith in attendance. As a peer tutor at the Douglas College Learning Centre, Negina Khalil loves helping her fellow students hone their study habits and improve their writing skills. But for Negina, tutoring goes way beyond sitting down with you and your books once a week. She knows the transition to college can be confusing – she’s been there – so she’s here to help you navigate through your first year and figure things out. “I remember when I was new here. I didn’t know the little things that I now take for granted, like how to cite sources in an essay," she says. "We never did that in high school. Or even things like, should I be recording my class lectures? I’d always be emailing my professors, and I felt like I was bugging them. Find out more about peer tutoring Douglas College by visiting the Learning Centre's web page. Read more inspiring stories about our students and instructors in our new viewbook. When the Electric Company theatre troupe approached Elizabeth Bachinsky about adapting a book of her poetry, God of Missed Connections, to a theatrical production, the Douglas College Creating Writing instructor gave them her blessing and free rein to do what they pleased. So they did. 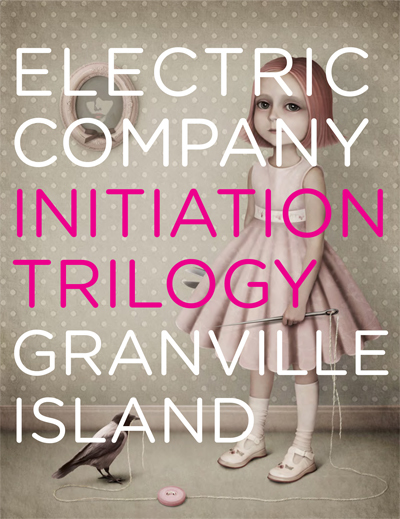 Part installation art, part drama, Initiation Trilogy, which runs till Sunday, Oct. 28 at Granville Island, is an interactive show that adapts the work of three local poets (Marita Dachsel and Jennica Harper are the others). Audiences are split into groups and taken to different stations to experience the stories of the poems. In The God of Missed Connections, Elizabeth, whose heritage is Ukrainian, explores the bloody history of the Ukraine and a century of cultural assimilation of its people in the West. She says she was surprised and overwhelmed with what the Electric Company did with her work. "It's spectacular and so moving" she says. "I hadn't thought of this particular book appearing in that way, but I did think about the collection as a curated art show. I was thinking about each piece in the book as a different piece, almost like I wanted to have the reader have the experience of looking at something on a wall, and they really capture that in this trilogy." "Some of the imagery that appears in the poetry that they've recreated is indescribably arresting," she adds. I don't want to give away too much, but you leave having had an experience. You feel stuff. And it resonates." Initiation Trilogy runs till Sunday, Oct. 28, as part of the Vancouver International Writers Festival at Granville Island. Making a decision about where to begin your post-secondary education is one of the most exciting (and nerve-wracking) decisions that most of you will ever undertake. In B.C., we're lucky to have a wide variety of colleges, institutes and universities to choose from. But the plethora of options can be overwhelming, and I'm often asked, “What’s the best school?" This week at Douglas: See The Nutcracker and more! Douglas takes on Columbia Bible College. More info: Doug life. One of Canada's foremost and most influential aboriginal playwrights and authors is appearing right here at Douglas next month. It's a rare chance for you to see him live - and for free. Tomson Highway, the Cree author of award-winning plays The Rez Sisters and Dry Lips Oughta Move to Kapuskasing and novel Kiss of the Fur Queen, takes to the stage at the New West Campus Nov. 6, 7:30, in the Laura C. Muir Performing Arts Theatre. 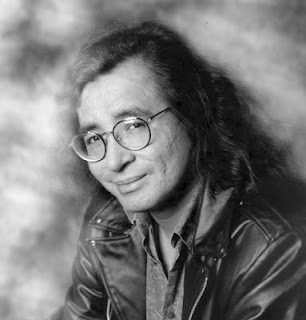 Highway - an accomplished pianist, songwriter and lecturer - will play piano, perform songs and talk about Canadian and aboriginal literature as well as the role of the arts in Canadian society and aboriginal communities. The event is open the the public. To book your seat, email Nassi Soofi. Highways's also coming to Douglas to speak to students in Music, Creative Writing and Theatre. The departments of Theatre and Stagecraft & Event Technology are producing Highway's most famous play, The Rez Sisters, Nov. 9-17. Visit our Arts Events page for details. 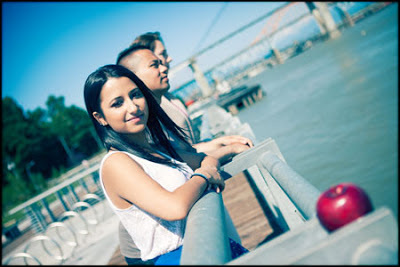 Watch the video to discover what BPA students love about the program. If your goal is to become a professional performing artist, arts manager, administrator or entrepreneur, or if you plan to do graduate studies in the performing arts, we've got the perfect program for you. Douglas College, along with Capilano University, Langara College and Vancouver Community College, offers a Bachelor of Performing Arts (BPA) degree – the only degree of its kind in Canada. On Thursday, Oct. 18, in an effort to prepare people for a potentially damaging earthquake, Douglas students, employees and visitors, along with thousands of other British Columbians, will participate in the Great British Columbia ShakeOut. In 1700, a 9.0 magnitude “megathrust” quake rocked the west coast of North America, from B.C. to California,. The geological record tells us that megathrust earthquakes occur in this region on average once every 500-600 years. Some have been as close together as 200 years. The closing date for nominations is March 1. 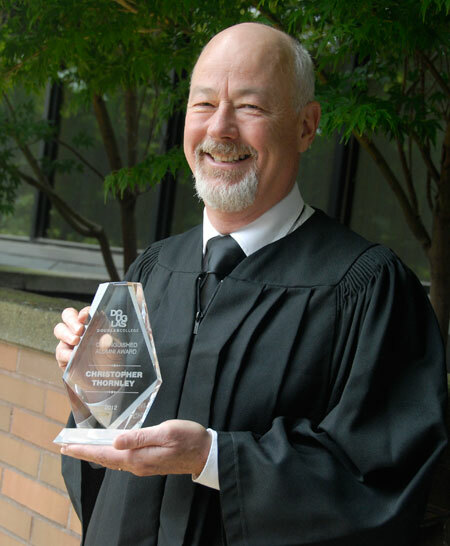 This award will be presented during the June 2013 graduation ceremonies. Visit our website for more information, or contact Andrew Senjack, 604 777 6171. You can also download the nomination form. 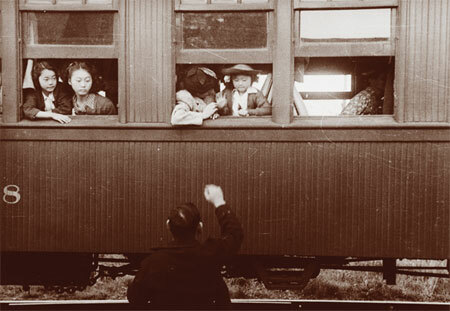 Japanese-Canadians are relocated to camps in B.C. 's interior in 1942. The Faculty of Language, Literature and Performing Arts presents Naomi’s Road, a one-act opera based on the novel by Joy Kogawa, with music by Vancouver composer Ramona Luengen and performed by Vancouver Opera in Schools. In one of our country’s shameful acts, Naomi’s family is moved from Vancouver to an internment camp in the interior. She and her older brother Stephen struggle with the forces of war and racism, ultimately demonstrating a resilience of spirit that promises hope for the future. "The experience of a Japanese-Canadian family in British Columbia during World War Two is told with sensitivity and clarity in music that speaks to the heart," says John Glofcheskie, Music instructor at Douglas. "If you are interested in music, theatre, literature, history, or issues of cultural identity, you are sure to find Naomi’s Road a rewarding experience." In 2006 this opera was presented to an enthusiastic full house at Douglas College. 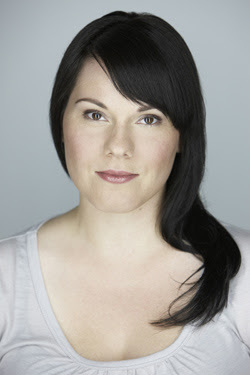 For more information on this production, visit the Vancouver Opera website. Contact Nassi Soofi if you’re interested in bringing your class to this performance. The opportunity to restore a 1935 hot rod would be a dream for many car lovers. For Alex Vasiljević, a graduate of the Child and Youth Care program at Douglas College and Community Youth Worker at Ray-Cam Cooperative, it was a chance to connect with teens who loved cars a little too much. 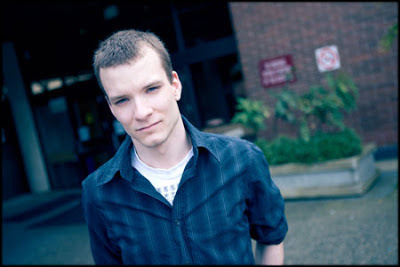 In 2005, Alex approached the Vancouver Police Department about creating a project that would get teenage car thieves to stop stealing. The result was NASKARZ – Never Again Steal Cars – a program through Ray-Cam that connects youth from the Downtown Eastside with police officers, auto instructors from Vancouver Community College, and volunteers, to rebuild and restore cars. “We thought that if kids enjoyed joyriding in cars, they might enjoy working on them, too,” Alex says. Over the last five years, more than 200 youth have participated in the program. 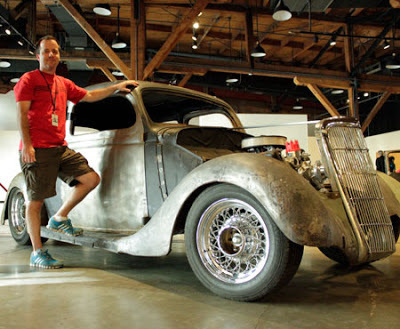 They spent countless hours working on the latest NASKARZ project, a 1935 Ford, originally a rusted shell collected from a farmer’s field in Saskatchewan. The restored hot rod will be finished next year and will be used as a police parade car and will become a permanent display at Ray-Cam – a lasting testament to the success of the program. As a youth worker, Alex says NASKARZ is gratifying in that it allows him to see tangible improvements in the kids he’s trying to help. Learn more about the Child and Youth Care program on the Douglas College website or come to an info session Oct. 16, Nov. 13 or 15, or Dec. 4. 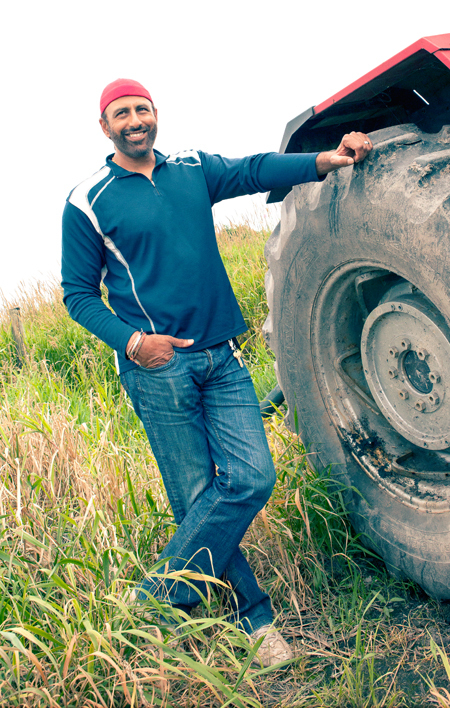 Suki Badh doesn’t just teach economics – he lives and breathes it. The Douglas instructor has served on the premier’s task force on immigration, the Western Economic Diversification Committee, the finance committee of the CKNW Orphans’ Fund, the Richmond Hospital Foundation, on various advisory committees to Richmond City Hall, and manages 150 acres of blueberry farms in Richmond and Ladner. He’s also hosted a radio program on current political, economic and social issues. 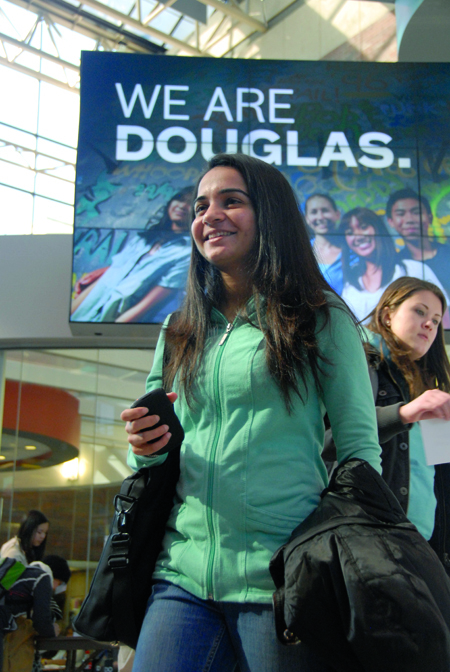 Find out more about studying Economics at Douglas College by visiting our website. Read more inspiring stories about our students and instructors in our new viewbook. This week at Douglas: Vuvuzella soccer tourney, get a head start on Xmas shopping, cheer on the Royals and more! Buy great gifts and support students in need at the same time. Vendors will be selling pottery, African art, jewellery, clothing, South American art and crafts and much more. Proceeds from table rentals go to support the Alumni Bursary. 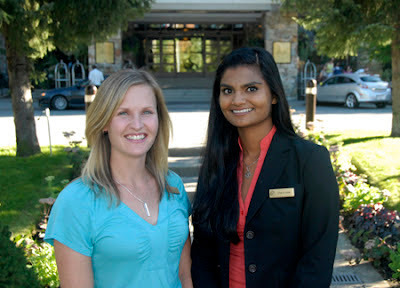 Back in 2006, Stacy Ram (pictured right) and Christine McCann were new grads of the Douglas College Hospitality Management (HOSP) program. A mere six years later, both hold management positions at The Fairmont Chateau Whistler. They chose the HOSP program at Douglas because they knew it would give them the hands-on experience and work placement opportunities they needed to move up quickly in the hospitality industry. 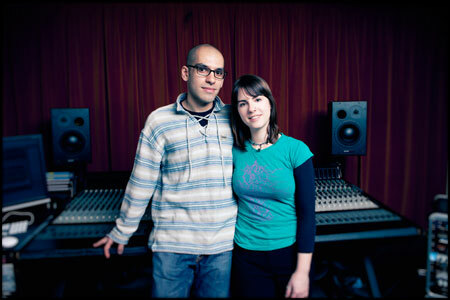 It didn’t take long for Omid and Erika, graduates of the Music Technology Certificate program, to discover their mutual passion. And each other! The duo – she sings and he plays guitar – has started writing their own songs, which they plan to record and perform. They took the MTC program to learn how to record their music right on their laptops – professional studio not required.